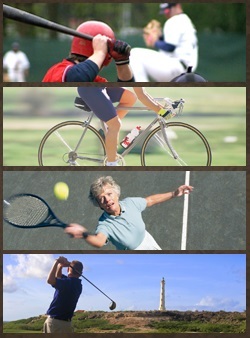 Core stability training can lead to improved balance, coordination and stability. 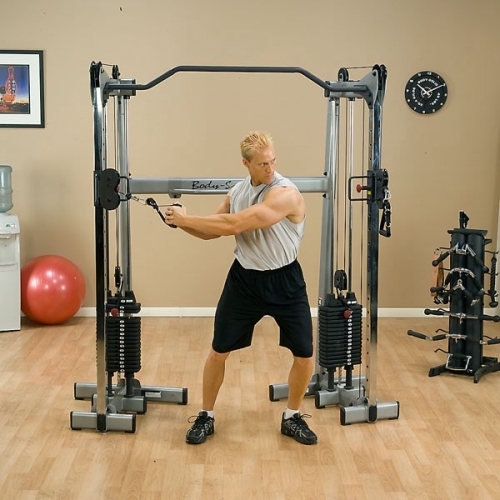 By efficiently working your body's stabilizer muscles though a limitless number of exercises, Functional Trainer offers strength-building results to users of all sizes. 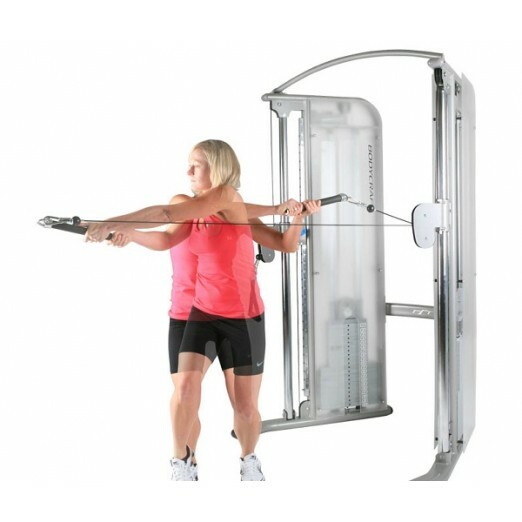 The Functional Trainer features ergonomically designed adjustments and interchangeable cable handles engineered to put hundreds of strength-building exercises within your grasp. 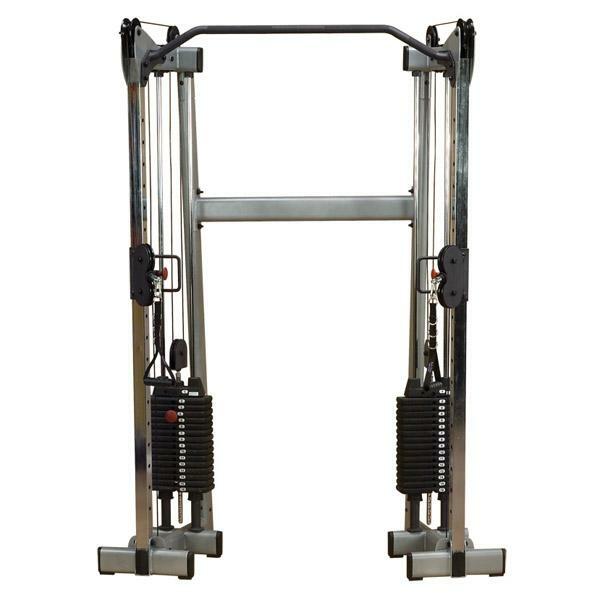 FitnessZone® is the premier fitness superstore on the Internet for functional trainers and cable cross overs. 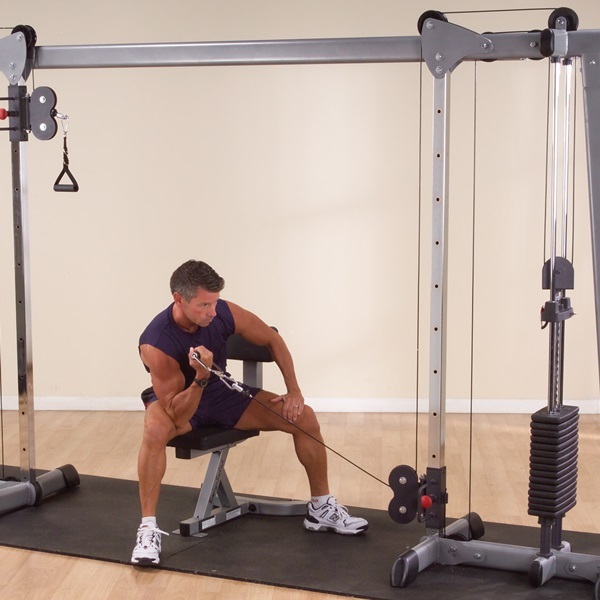 We carry a wide selection of top quality and reliable home or commercial functional trainers and cable crossovers. 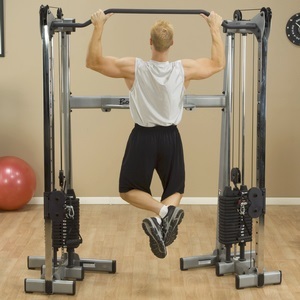 The FitnessZone® superstore offers the largest selection of functional trainers and cable crossovers with features such as: adjustable cable columns, exercise posters, pull-up bar option, graduated weight stacks for smaller weight increments, bar attachment accessories, weight shrouds for safety, and many more. 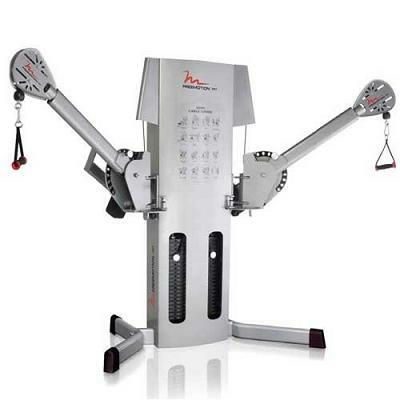 Functional Trainers have become a new category in the fitness industry. 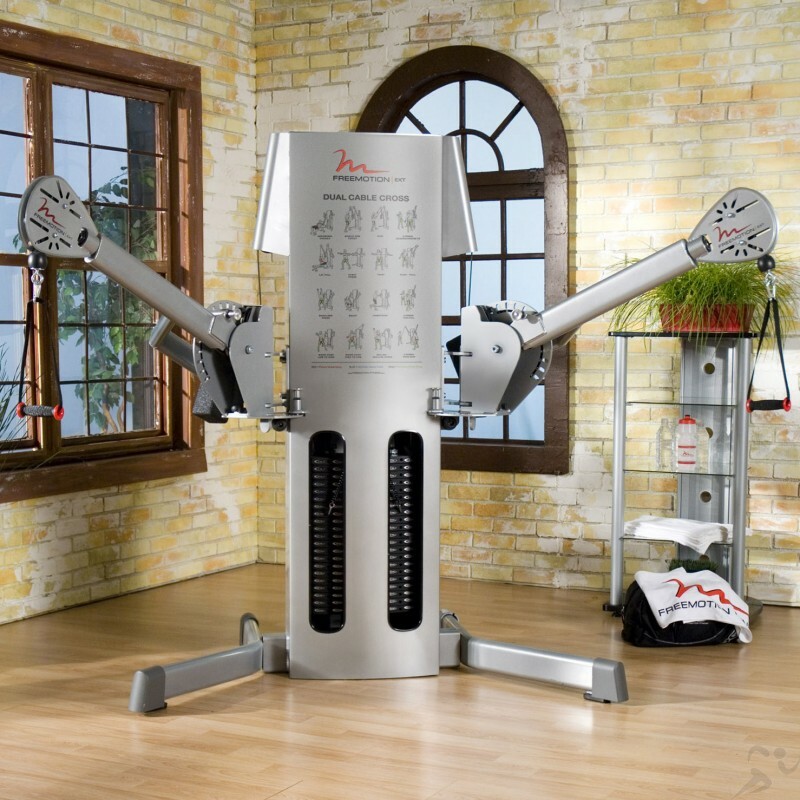 Personal trainers and even home owners are exercising on these machines for a total body workout while also training the “Core”, which in the mid section of the body. 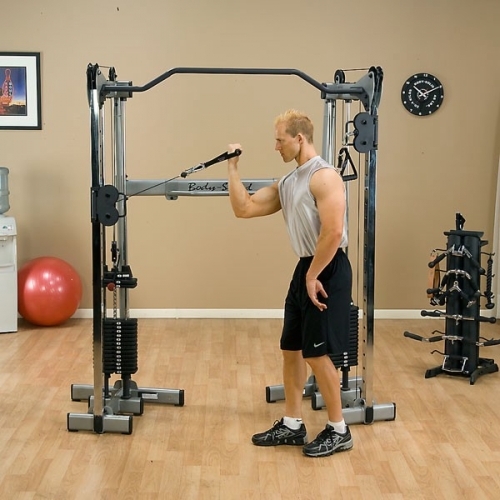 FitnessZone®’s selection of home and commercial functional trainers and cable crossovers can be dropped shipped to your home, gym, corporate building, YMCA, fire department, or church at any time. 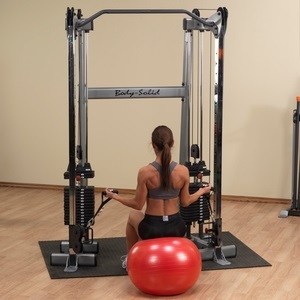 We offer such a huge selection of brands of functional trainers and cable cross overs such as Body Solid, Body Solid, Powertec Fitness at the best prices so you don’t have to waste time searching for a lower price. 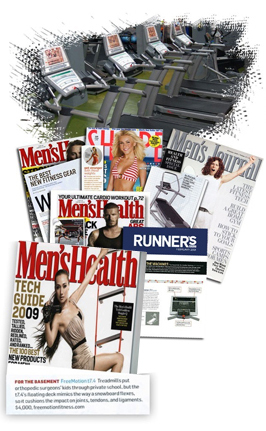 The Cable Cross was recently reviewed in SELF Magazine, read the article here. 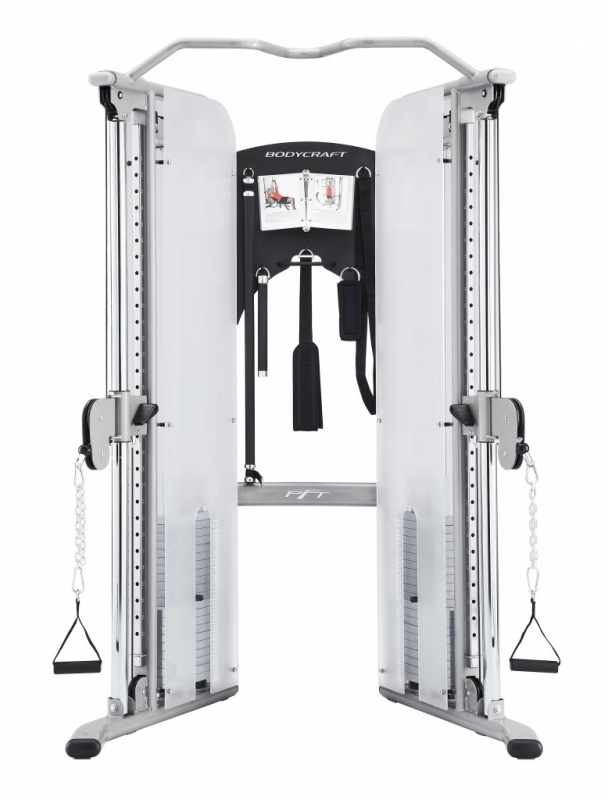 With the Bodycraft PFT functional trainer you can strength train for sports and every-day movements. 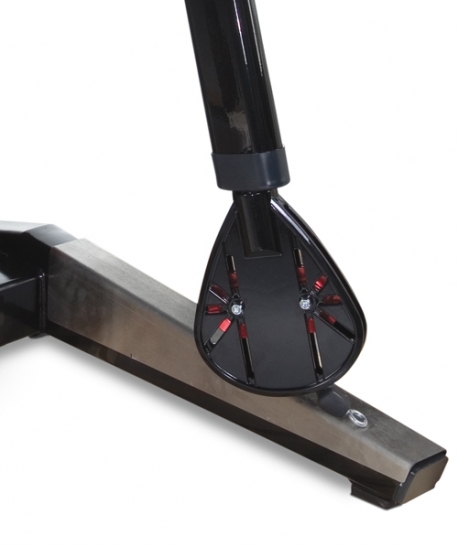 Independent, adjustable cable columns Train from every angle and any height. 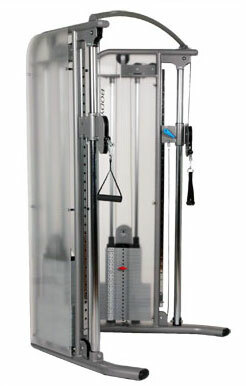 The Bodycraft PFT V2 functional trainer is only 4.4 feet deep x 3.2 feet wide. Oval Tubing, upgraded paint, and plexiglass covers all add up to an exceptional look. 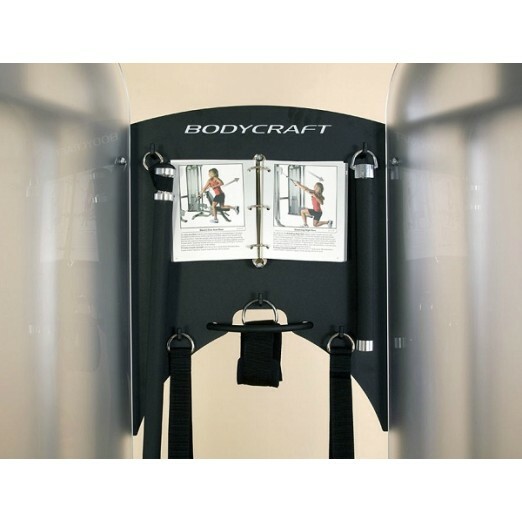 The Bodycraft PFT functional trainer has the same quality construction and components you have come to expect from Bodycraft. 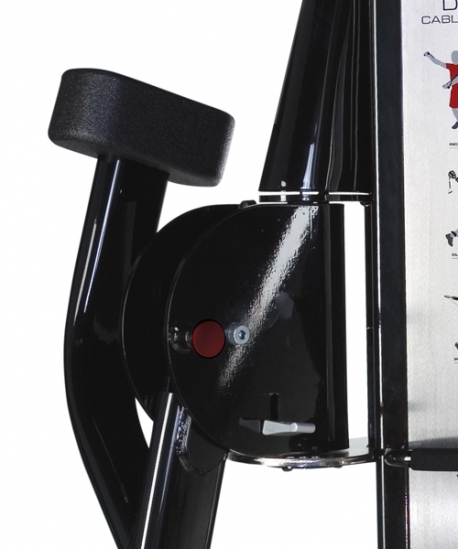 Functional training allows you to adapt and develop exercises which are designed to specifically improve performance of both sports specific and everyday activities. 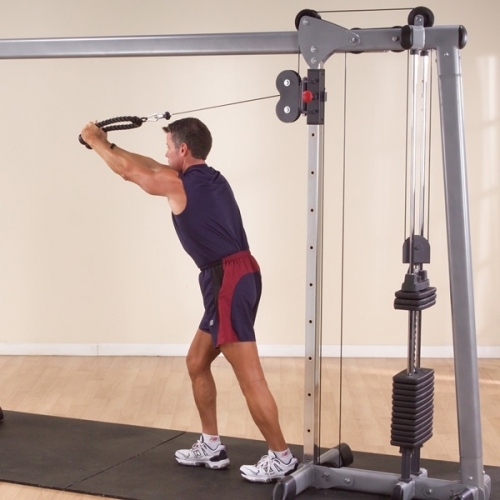 Functional Training emphasizes the body's natural ability to move in six degrees of freedom which can lead to better muscular balance and joint stability, decreasing the possibility of injuries. 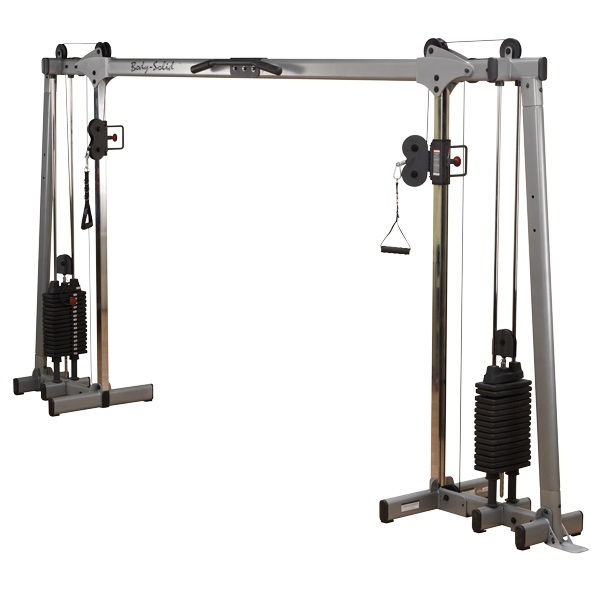 The Body-Solid GDCC210 Functional Trainer provides the ultimate fitness experience that will take you to a new level of workout motivation. 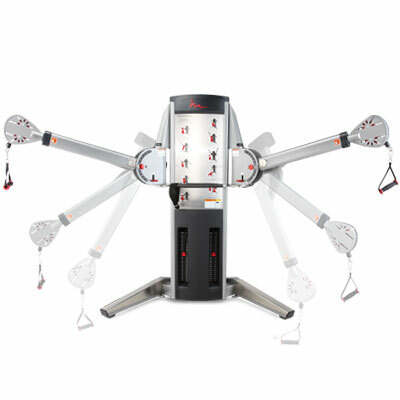 The Body-Solid GDCC210 Functional Trainer will allow you to strengthen every part of your body for the way you want to live. 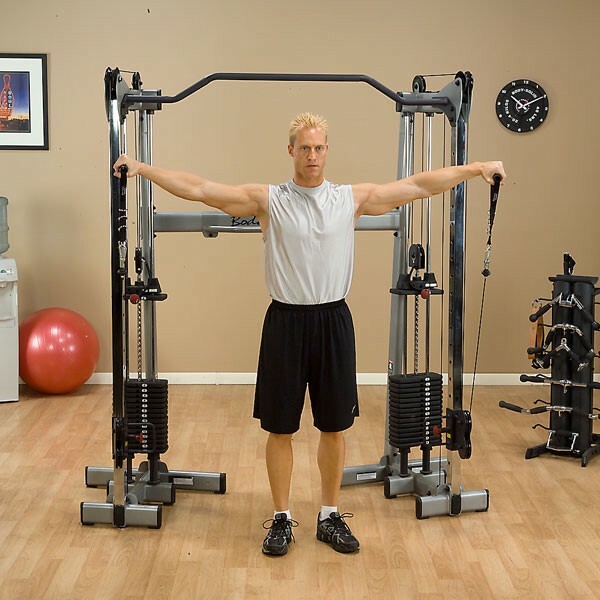 FitnessZone® will be able to custom fit you on a functional trainer or cable cross over that will help you obtain your fitness goals while meeting your budget or space requirements. 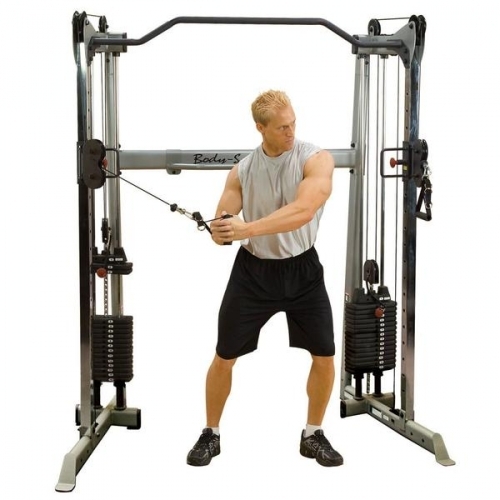 All of our functional trainers offer a full warranty for parts and labor. We have service technicians on call 7 days a week throughout the World for our customer’s service needs. 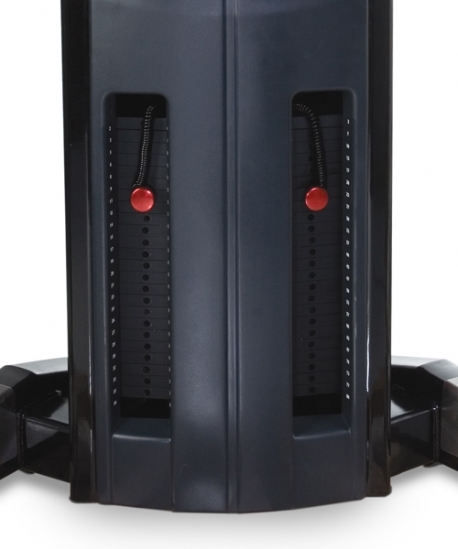 Order your functional trainer or cable crossover at FitnessZone®.com and exercise your way to better Health. 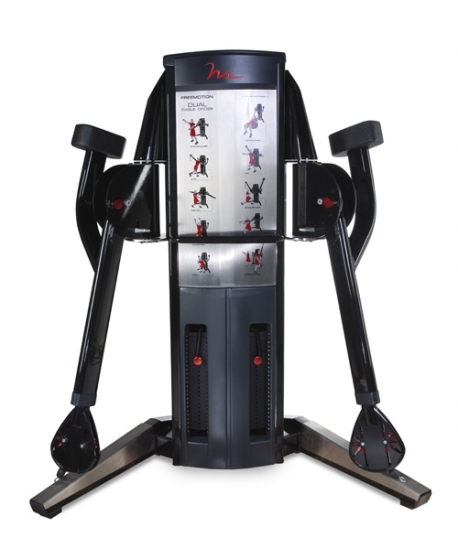 Let the FitnessZone® sales staff help you navigate through the various models of our products. 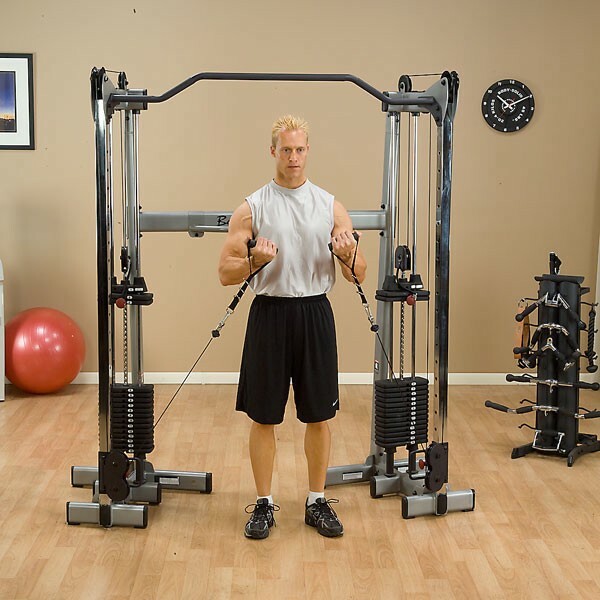 Our expertly trained staff can assist you in selecting the Functional Trainer or Cable Crossover that will custom fit your needs as well as your budget! Call us ANYTIME at 1-800-875-9145.